By Leah Dobrinska. Nov 27, 2015. 9:00 AM. Numerous authors have taken their cues from the great Rudyard Kipling. Readers, too, find him to be incredibly compelling, and as we’ve said before, the man had a gift in that he was able to speak to individuals who hailed from vastly different sides of the social spectrum. And he still does so. Perhaps that’s what makes the works of Rudyard Kipling so highly sought after for the collector. Today, we hope to help the Kipling collector by detailing some of the interesting editions of one of Rudyard Kipling’s most famous works, The Jungle Book. The Jungle Book was published in magazines in 1893 and 1894; however, it was first published in book format by Macmillan and Company in London in 1894. This first edition has blue cloth binding with gilt edges, titles, and pictures on the spine and front board. As far as anyone can tell, Macmillan and Co. did not issue a printed dust jacket with the first printing of The Jungle Book. It appears it was likely only a plain, glassine cover. A stand-alone, first edition copy of The Jungle Book will cost a collector anywhere from $5,000-$10,000. Most collectors want both The Jungle Book and The Second Jungle Book (see below) for their collections. 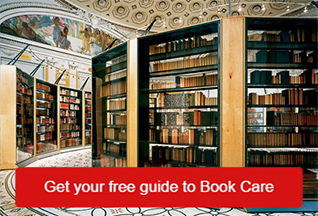 For fine first editions of book books, prices will increase to nearly $20,000. The first American edition of The Jungle Book was published in 1894 by The Century Co. in New York. It was published on the same day as the first British edition, but this edition has numerous difference. The first American edition has the publisher’s olive green, criss-cross patterned cloth and gilt decoration on the upper and lower boards, decorations and titles on the spine, and top edges. The first American edition also included a dust jacket which was printed in olive green and shows an image of an elephant along with the title and author’s name. First American editions in fine or near fine condition with a likewise, in tact dust jacket will cost a collector nearly $10,000. The Second Jungle Book, which continues in the same way as the original (with five extra stories about Mowgli), was published in 1895 by Macmillan and Co. in London. 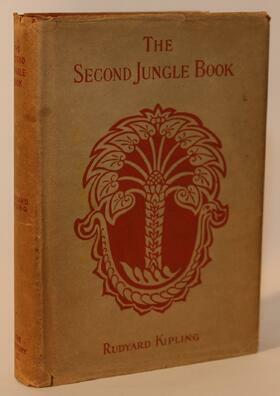 Like The Jungle Book, the first edition of The Second Jungle Book also contains illustrations by Rudyard Kipling’s father, J. Lockwood Kipling. Unlike the first UK edition of the original, however, The Second Jungle Book was issued with a dust jacket. A copy with the original dust jacket, which includes the tagline “with decorations by J. Lockwood Kipling, C.I.E.”, is of supreme value. The book itself was published in the same blue cloth with gilt decorations on the front board, gilt lettering and decoration on the spine, and gilt edges. Stand-alone copies of The Second Jungle Book rarely make their way into the marketplace, especially those with original 19th century dust jackets. Such a book will cost a collector between $6,000 and $8,000, depending on factors like condition, whether or not it is an association copy, etc. The first American edition of The Second Jungle Book was also published in 1895, but was released three days before the first UK edition. It was published by The Century Co. out of New York, and it includes several textual difference from the UK edition. The first American edition was published in terra-cotta cloth. It had an original orange and white dust wrapper with text and decoration in orange against a white background. The white of this particular dust wrapper is subject to toning. 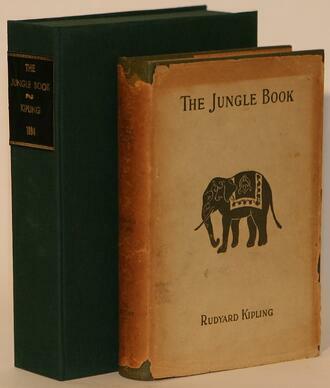 A variant of the first issue can be found with dust jacket and cloth binding mirroring those of the first American edition of The Jungle Book (olive green in alike dust jacket). 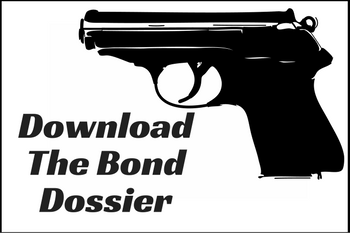 This version is considered equally scarce. Finding a copy of either version with a near fine or better dust jacket is incredibly valuable. Such a copy would cost a collector from $5,000 to over $10,000. The Bombay Edition is a limited edition collection of Kipling’s major works. It includes both The Jungle Book and The Second Jungle Book. The Bombay Edition was first published by Macmillan and Co. in 1913 with 20 volumes. However, Kipling kept adding volumes and by 1938, 31 volumes were available. The later volumes were issued separately, so later volumes in a given complete (31 volume) collection would be published in different years. The Bombay Edition was limited to 1,000 copies, all signed by Rudyard Kipling on the half-title page. Only 500 copies of the later volumes were published. Therefore, a complete set is extremely rare and very valuable and will fetch upwards of $15,000. Incomplete sets are still noteworthy collectibles and can be purchased for significantly less. However, be sure to do your research and know what you are getting. The Sussex Edition was likewise a limited edition collection of Kipling’s works and considered by Macmillan and Co. (his UK printer) to be a fitting tribute and monument to the prolific author. It includes Kipling’s final revisions to his works, again including The Jungle Book and The Second Jungle Book. The set was limited to 525 copies, and each was signed by Kipling. Interestingly, The Sussex Edition was published posthumously beginning in 1937 (Kipling died in 1936); however, all of the signatures were done prior to the author’s death. The Burwash Edition is the American version of the UK’s Sussex Edition of Kipling’s works. 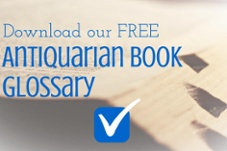 It, too, includes the author’s final revisions. The Burwash Edition was published by Doubleday: Doran and Company, Inc. in 1941 and includes 28 volumes. The Burwash Edition is signed by Kipling, and the sets were limited to 1,010. The publisher used dark red cloth in the original edition with cream dust wrappers. The dust wrappers, with their dark red titles and decorations on the spine and front, add loads of extra value to this already valuable set. 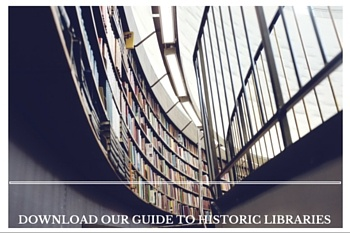 A complete Burwash Edition can cost over $8,000, depending on the state of the books and the dust jackets.